Inner city resident Josine Overdevest invites you to join her on a walk in town to experience the diverse sights, sounds and special encounters that spell Jozi. Jozi, the city that reflects and condenses the contradictions at play in the country, and maybe in the world, today: where you can drink your rooftop champagne with a view of overcrowded migrant hostels. As Josine says: “How I experience my walks can be equally contradictory: sometimes they offer the anonymity I seek, other times I unexpectedly find the sense of community that I also long for, like when a car guard calls me over to share the neighbourhood news. Some observations of city life break my heart and have me smarting from the unfairness of life: a homeless man carefully preparing his pavement bed. Others, like a passer-by guiding schoolchildren safely across a busy road, bring a long lasting smile to my face and confirm my belief that people can and do make life worthwhile. “A walk through the inner city of Jozi with Josine is like opening a brown paper bag and realizing that it is a lucky packet. Walking is the great equalizer. Our feet affirm our humanity. Josine has a deep empathy wrapped in casualness that unlocks the heart wrenching and life affirming realities of inner city life. As a resident of the area, she has immersed herself in the landscape and the community. She takes you on a brief sojourn of sole searching and mind boggle which ignite conversations about our place in this city as well as our connection to the whole of humanity. My walk across Jozi presented a glaring juxtaposition of good and evil coexisting harmoniously in an uncanny way in the city. The streets (Diagonal Street) transform from vibrant markets during the day and become common sleeping bunks for the homeless in the night. The city still manages to show its kindness as a muslim shop owner offers my walking company and I a free cool drink to quench the thirst presented by the walk in the summer heat, all the while a beggar down the street reminds me of my privilege as he stares into my eyes pleading for a coin to buy bread, or glue. On our Impressions page more people share how they’ve experienced the walk and its impact. Having these contradictions compressed on just a few square klilometres presents a perspective that is hard to escape and in an intriguing way shapes your understanding of the issues we’re dealing with as a society. Walking is the best way to experience this perspective, to immerse yourself in the special sounds, smells and sights that spell Jozi. 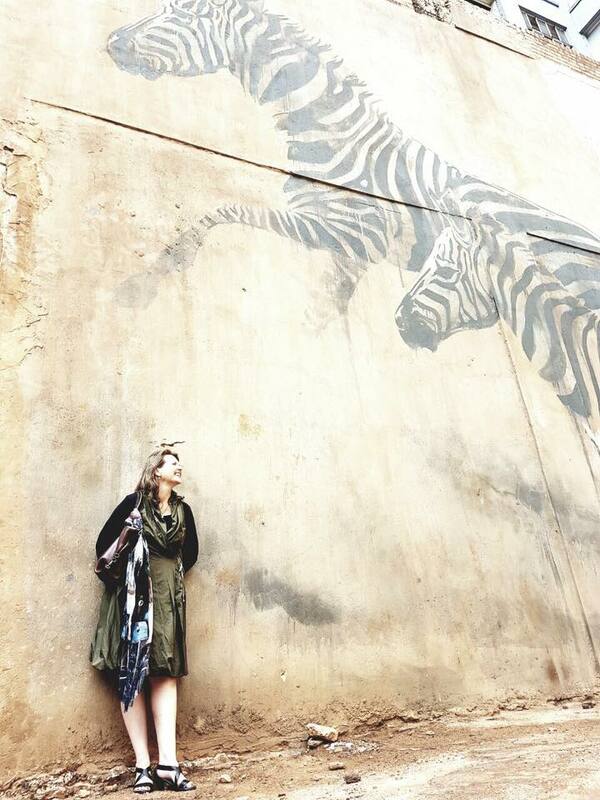 Josine’s own experiences discovering Johannesburg CBD on foot since 2013 have led to the Flying Cows Walks. After 10 years in the suburbs the joys of urban walking came as an eye-opening surprise and sparked an interest in the wider relevance of the inner city perspective. An interest that is shared by many others and reflected in their writings, art work and tour-guiding initiatives. 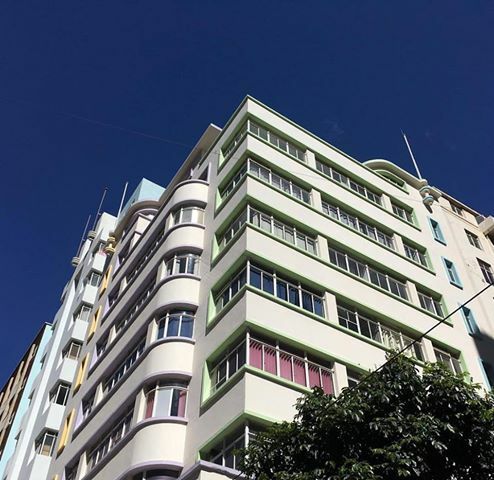 On our Connections page you can find the books, tour organisations, links and quotes that further inspired and enriched the perspective offered by these urban walks.